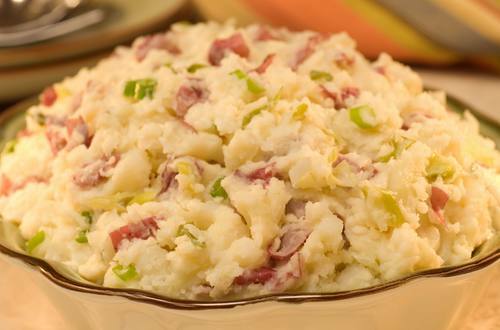 Get the family to help make this fun 'n delicious dish! 1 Cover potatoes and garlic with water in 4-quart saucepan. Bring to a boil over high heat. Reduce heat to low and cook uncovered 20 minutes or until potatoes are tender. Drain. 2 Coarsely mash potatoes with remaining ingredients, leaving some potato chunks.